Dr. Kim Schrier just made Dino Rossi a four-time loser thanks to a strong campaign and comprehensive progressive platform. Ever since we helped organize an 800-person march on Dave Reichert’s office in February of 2017, Fuse has made retaking the 8th Congressional District a top priority. In the 8th District alone, Fuse members worked 787 volunteer shifts and registered 4,400 new voters. After the voter registration deadline passed, we transitioned to an aggressive Get Out The Vote campaign in this pivotal district. We contacted more than 100,000 progressive voters in the district through canvasses, phone banks, peer-to-peer text messages, Spanish-language phonebanks, and more. 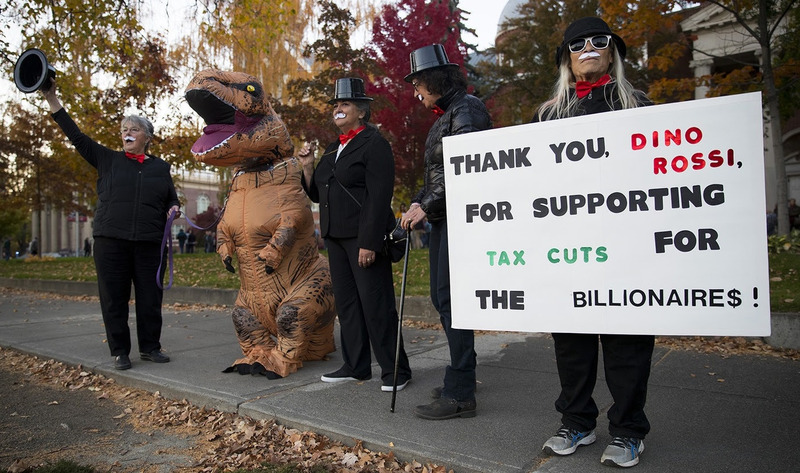 In addition, we worked social media, held protests, and pitched news stories exposing Republican Dino Rossi’s support for tax cuts for billionaires and overturning Obamacare. We’re thrilled that this long-held Republican district finally turned blue! Thanks to Fuse members donating and sharing the guide, our Progressive Voters Guide continues to grow in size and influence every year. More than 350,000 people used our recommendations for 210 candidates and ballot measures in the general election! We were able to reach one out of every 10 voters who cast a ballot this year and more than one out of every four voters in our priority races. The biggest impact of the Blue Wave in Washington will be felt in Olympia next year as progressive legislative candidates won in every corner of the state. In conjunction with the Our Votes Count coalition, we ran our biggest Get Out The Vote campaign in Fuse’s history. 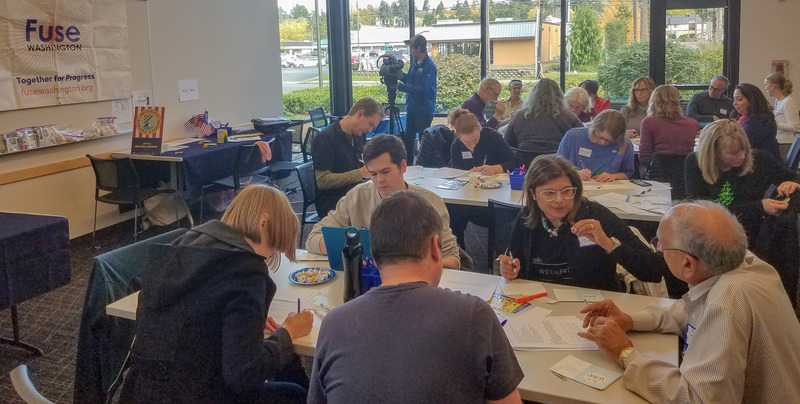 Our top priority was to turn out infrequent progressive voters in South King County, Pierce County, and East King County – making sure people who often don’t vote in midterm elections cast a ballot this year. We had the most diverse group of progressive candidates ever to run for legislature in Washington. All of our top priority legislative candidates this year were women and many were women of color. We’re thrilled that Democrats picked up at least seven state House seats and one Senate seat, with several more possible if late returns are positive. 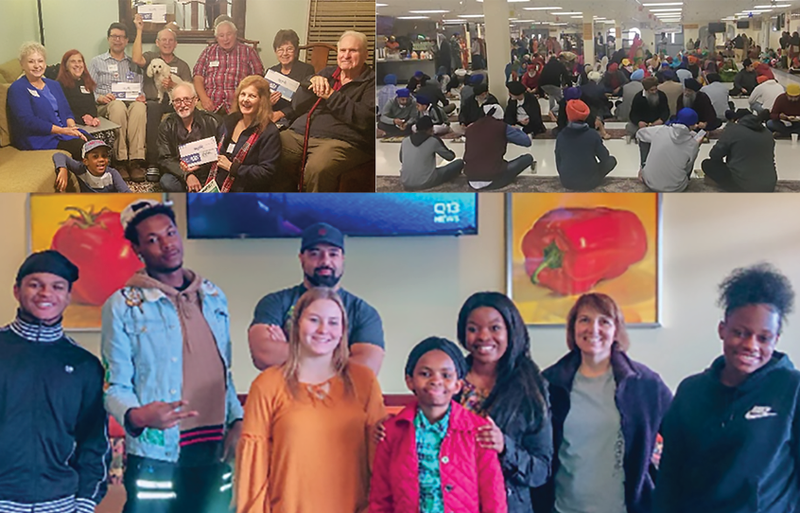 In addition to knocking on doors and calling voters, our staff and interns organized ballot parties in key districts to share information about candidates and measures on the ballot. In Federal Way, we hosted a ballot party for progressive Claire Wilson for state Senate. In Pierce County, we gathered to fill out our ballots in support of Emily Randall for state Senate. We also helped organize a ballot party with the Punjabi community in South King County to help elect Debra Entenman and Mona Das for Legislature. Shout out to Satwinder and Harpreet Kaur for their help! We look forward to working with this awesome group of newly-elected legislators to pass bold progressive policies in Olympia. We were disappointed that the landmark climate initiative 1631 failed because of a record $30 million in deceptive ads funded by Big Oil. 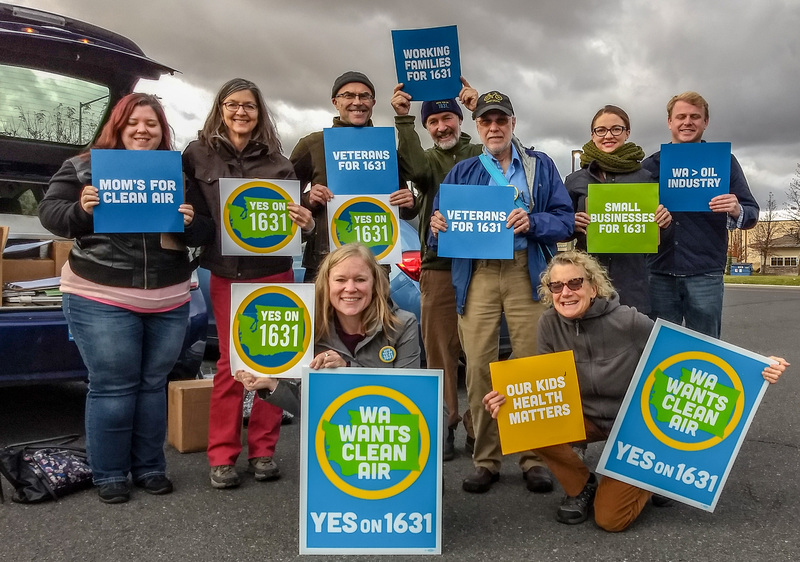 Our Eastern Washington volunteers played a big role in building public support for I-1631, including holding three canvasses on the last Saturday of voting alone. We’re also sad to report that progressive Lisa Brown came up just short in her inspired efforts to defeat Rep. Cathy McMorris Rodgers. This was also a priority race for us and our incredible Spokane volunteer council registered 4,300 new voters in the district. We also hosted several “Puppy the Vote” canvasses with rescue dogs from Path of Hope Rescue! Our Spokane team was helping college students print replacement ballots right up until the deadline on Election Day. A Republican PAC funded and organized by racist, right-wing trolls mailed tens of thousands of progressive voters in key districts claiming that Fuse and the Progressive Voters Guide wanted them to support write-in candidates instead of the progressives on the ballot. Their mailers used our logo and Progressive Voters Guide recommendations from past elections, claiming they were for this year’s races. We also organized our partners to file a joint legal complaint with the Public Disclosure Commission to shut down the PAC and punish the people behind it. This one should cost them dearly and shouldn’t happen again. Last night’s elections mean that we’re heading into 2019 with the largest progressive majority in the state Legislature in a decade. This means we finally have the opportunity to push for bold policy advances, from single-payer health care and 100 percent clean energy to reforming Washington’s broken and regressive tax system. We also know that progressive change doesn’t happen easily or by accident, even with large majorities. We need to build on the grassroots energy we’ve seen over the last two years to hold our legislators’ feet to the fire and push for major advances in progressive policies. That means expanding our organizing program and creating our most ambitious legislative agenda ever, but we can’t do it without your support. Will you fuel our work in 2019 by becoming a monthly donor? More than 400 people already donate an average of $15 a month and we’re looking to build this critical base of support to 500 by 2019. Will you chip in $10 a month to join us? Thank you for a truly monumental midterm election. We can’t reach a future that’s safe, prosperous, and healthy for all without your efforts.